As a child, the first day of school was always my favorite day. I have vivid memories of waking up extra early, packing my lunchbox, and putting on a new pair of shoes and my backpack. I begged my mom to get ready so we could get in the car and start the day. Merbisson and Bolodson play on the playground at the Greta Academy during the first day of school. I couldn’t wait to meet my new teacher, see if I was sitting next to my best friend, and reunite with familiar classmates. I was ready to learn, ready to play, and ready to grow a little bit more than I did the year before. Now that I’m an adult, I still love the first day of school. I love the hope of a new year, a fresh start, and the expectation of learning new things and creating more friendships. This year was no different. For our first day of school here at the Greta Academy in Haiti, I woke up extra early, put on my favorite outfit, and headed off to school. I watched friends reunite and teachers welcome new students into their classrooms. It was a big day as the children entered their first year of primary school or started a new grade. The Greta Academy currently has K2 through 7th grade for 109 students. This includes the residents and the 45 children that live in the surrounding community of Macombre. Students learn math, science, history, Bible, English, art, sports, reading, writing, and other subjects. 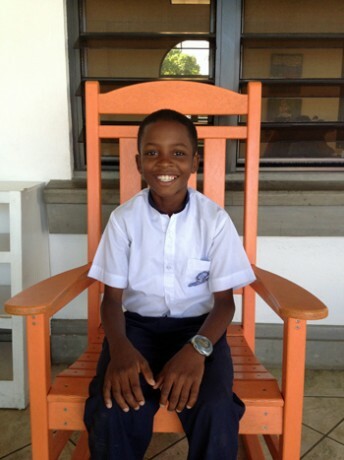 Wolseley Joseph, who lives in the surrounding community, was excited to start back to school this year. This school is not only a place for children to learn. It’s also a place for families. Members of the community attend weekly literacy classes as well as marriage enrichment and basic computer classes. 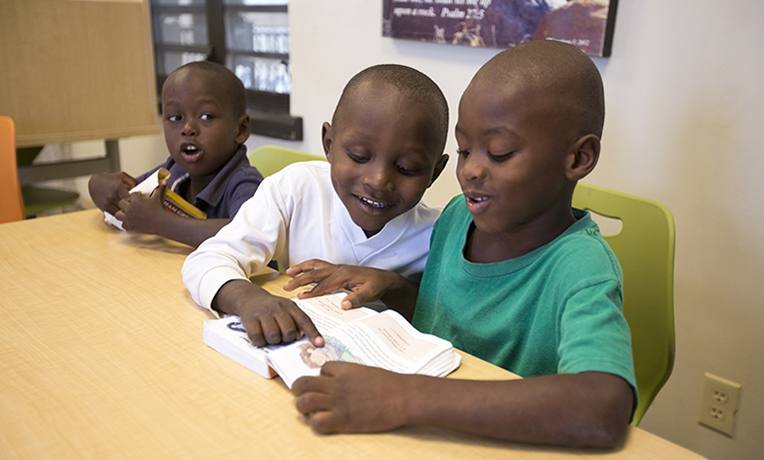 Entire families are learning to read and write for the first time through the Greta Academy and the hardworking staff members that come here each day. 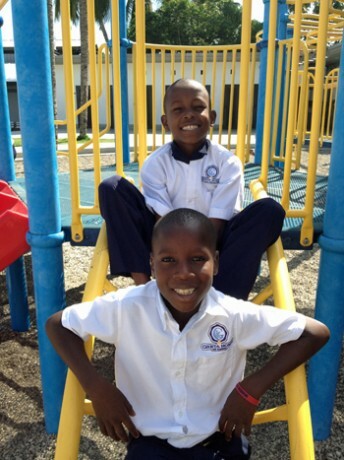 Education is vital to the progress and success of Haiti. At the Greta Academy, we must do our part each day to ensure our children receive the best education possible. We want them to leave each day filled with knowledge, not only of school subjects but also of Christ. We want them to be excited each morning to come back, learn, play with friends, and enjoy the privilege of education. That’s what excites me about the first day of school, knowing an entire year lies ahead for these children and that we can be the mentors and encouragement they need to grow into the godly men and women they were created to be.